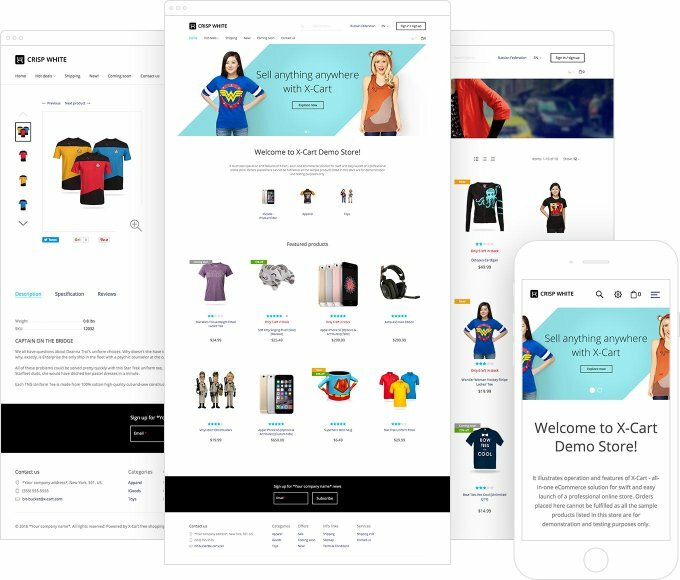 Light and neat, with a full-width slider and a lot of white spacing, this skin will make your store look modern. It’s created in the minimalist style and will work for stores selling various kinds of goods. Crisp White skin combines flat and material design. It's based on CSS with vertical rhythm and Bootstrap Grid System. This template is 100% mobile-ready, SEO-friendly and looks great in all popular browsers. looks good. If you can make one in green or other color would be nice.